I love reading magazines, whether they come out monthly or weekly I love buying them and flick through them to learn about the latest trends and all the gossip that is going down in the beauty world! 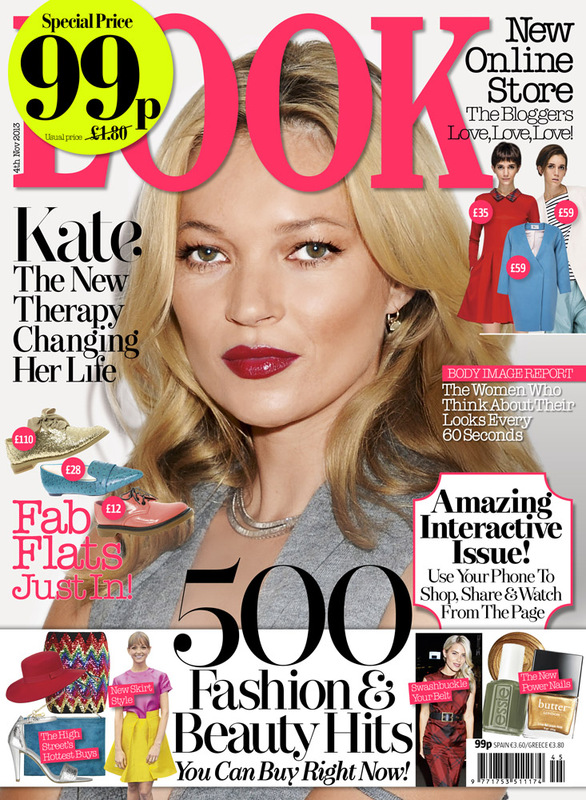 One of my favourite all round magazines that comes out every week is LOOK, they provide some many different articles and there is always something in there for everyone. I love the fashion spreads they have because there is always a mix between high street and high end so you can create the most amazing look for little or even more! The world of technology has allowed so many magazines like LOOK to have their magazines digitally, so you can download on your smartphones, iPads! This is great and is so much easier than going out to the shop and buying them! However, if you do buy your magazines at a store then you should go pick up a LOOK issue as their magazines are now interactive! 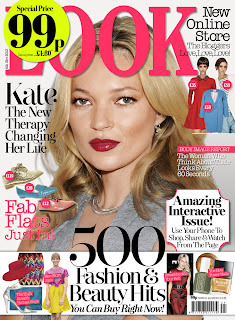 the drop dead gorgeous Kate Moss is on the front cover! 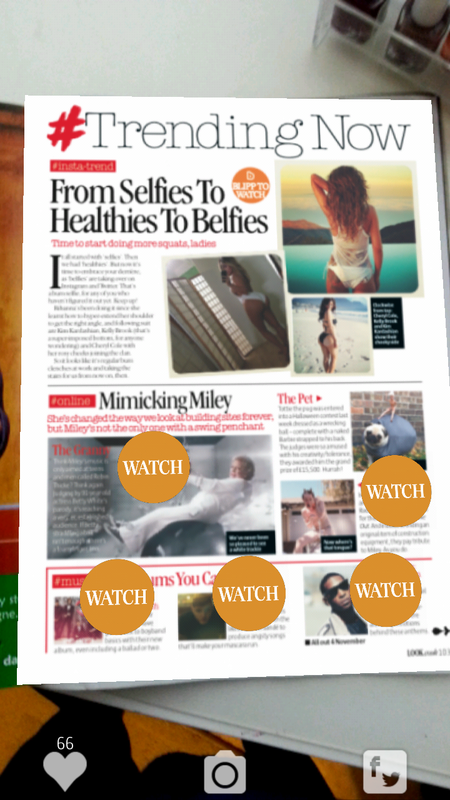 All you have to do is download the Blippar app on your Apple devices or even Android for free and then all you have to do is scan the page and you will get directly linked to the site that is featured on that page! 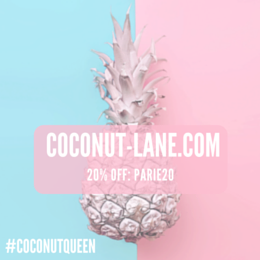 To make it simpler to understand, the app allows you to shop directly from the page as well as a chance to be the cover star! The issue is currently on sale, and the above logo will be on the pages that you can blipp through the app and then purchase online if you really like them. 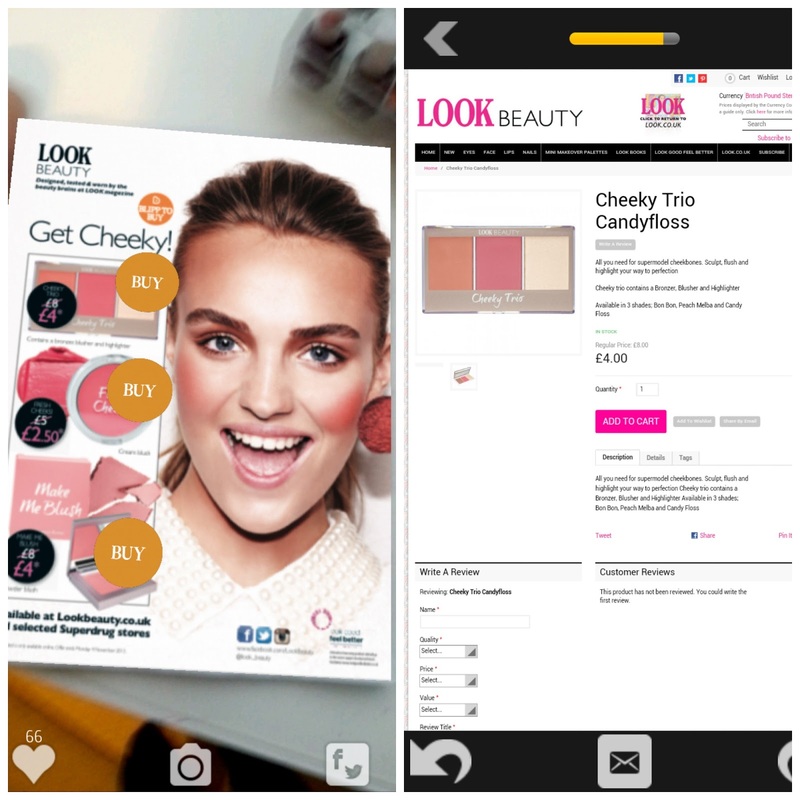 As well as buying the products, you get a sneak peek behind the scenes look at the going on's at LOOK HQ! Here is what I blipped and bought through the issue as I loved these items so much! The issue is currently on sale until the 4th November, so if you want to spoil your self this week I would buy (the currently on offer for only 99p) magazine and then shop till you drop with out having to go out in this horrible weather! The app was so easy to use and I can't believe that I have never used it before! 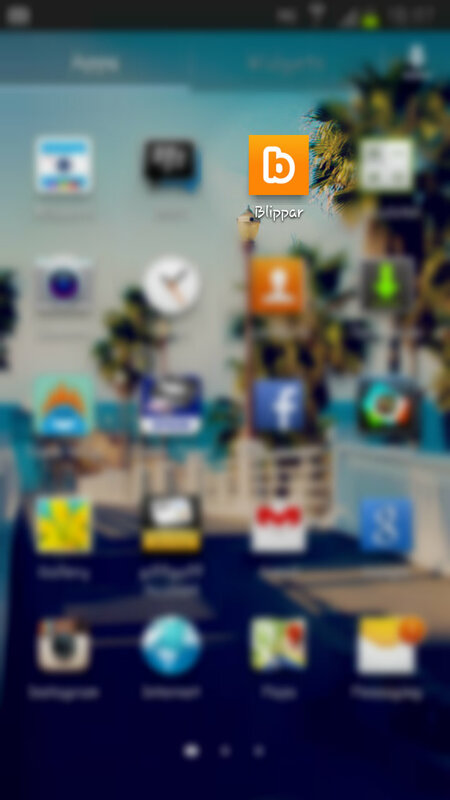 When I held the camera on my phone of the front cover so many blipp icons appeared it was so amusing to click on them all! This is one of things I actually went on and bought straight from the magazine, the trio of blushes that this model is wearing and that looks really stunning! Not only can you buy things through the app, but you can also watch different videos, for example the one I was interested by and watched is the video of someone copying miley cyrus! A first for LOOK, the magazine is offering readers three ways to shop – ‘Blipp to buy’ from the print version, ‘Tap to buy’ from the digital version and via the websites online pop up shop. Each section of the magazine from catwalk, main fashion, celebrities wearing high street fashion to beauty; readers will be able to directly buy products from the pages of the magazine. 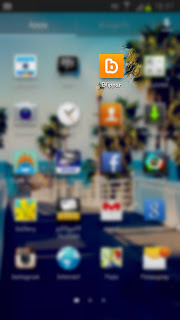 Any page that has a Blippar ‘B’ logo will come to life and all the products on the page will be available to purchase via the Blippar app and will also feature behind the scenes videos of the fashion shoots. 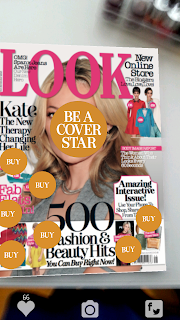 Enabling consumers to ‘be a cover star’ by using Blippar technology; readers can download the free Blippar app and click on ‘be a cover star’by hovering the app over the cover and taking a photo of themselves. The image generated will feature the reader’s picture along with the magazine’s masthead to create a cover that can then be shared via Facebook and Twitter. In addition, the readers can interact with the beauty and catwalk pages by using Blippar to see how to videos for nails and catwalk shows featuring the products in the magazine. Readers can also star in their own beauty shoot.